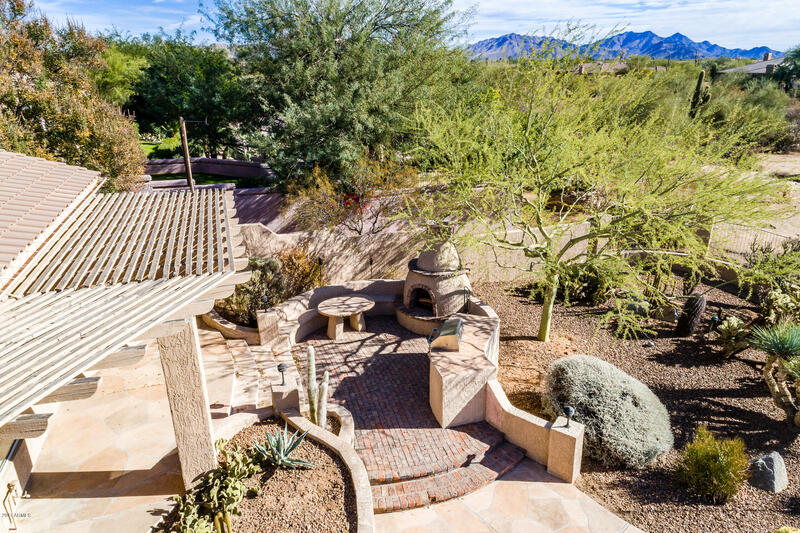 Found: your modern oasis in the desert. 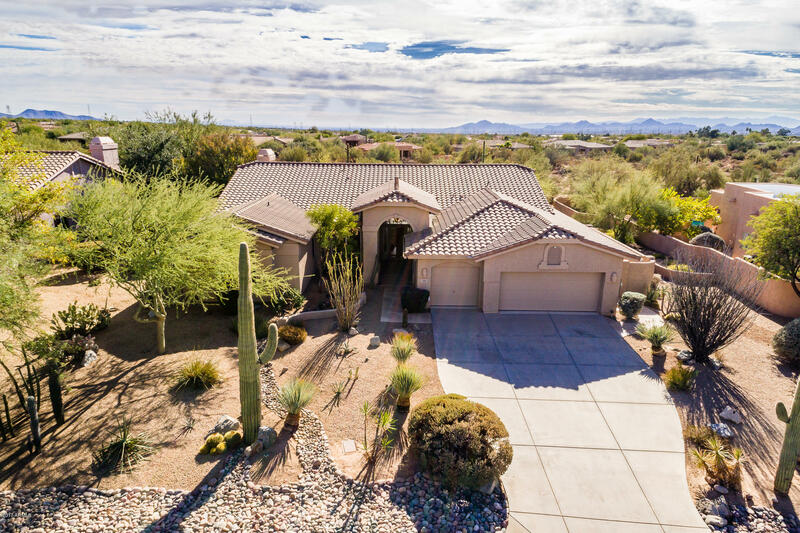 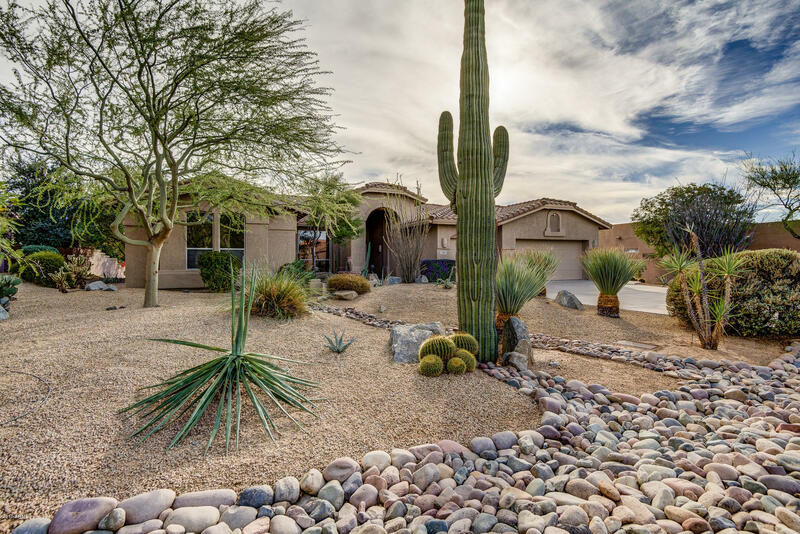 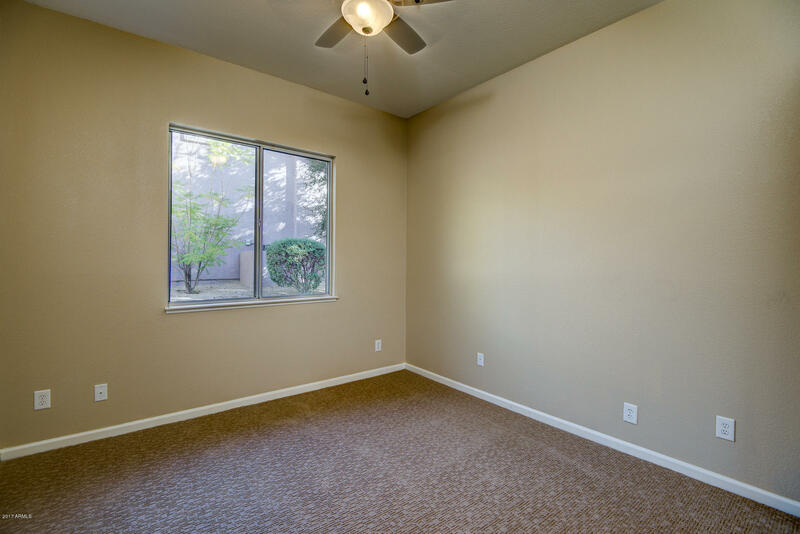 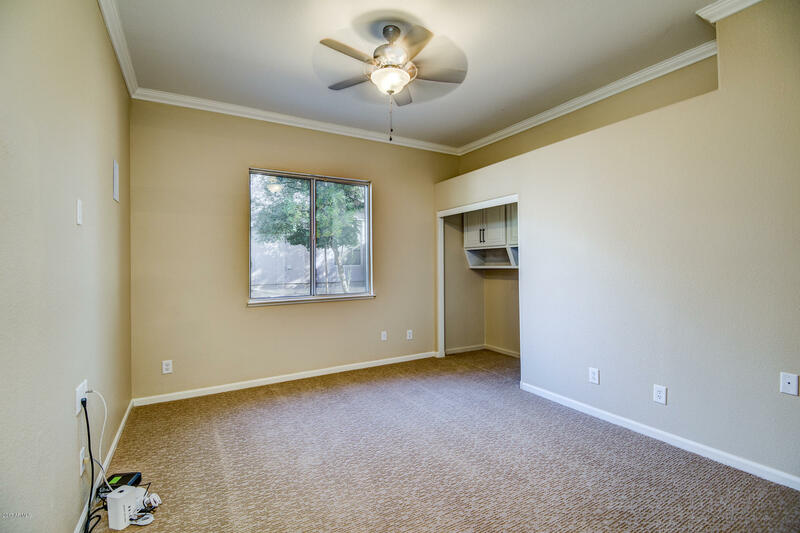 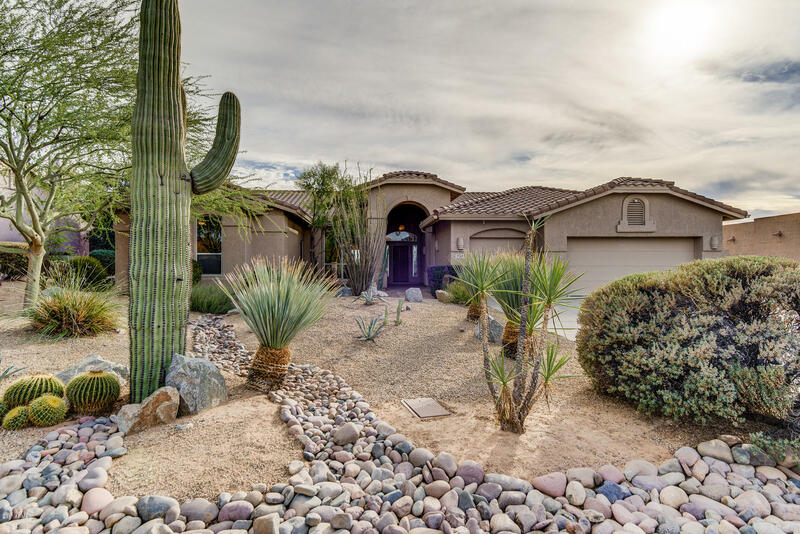 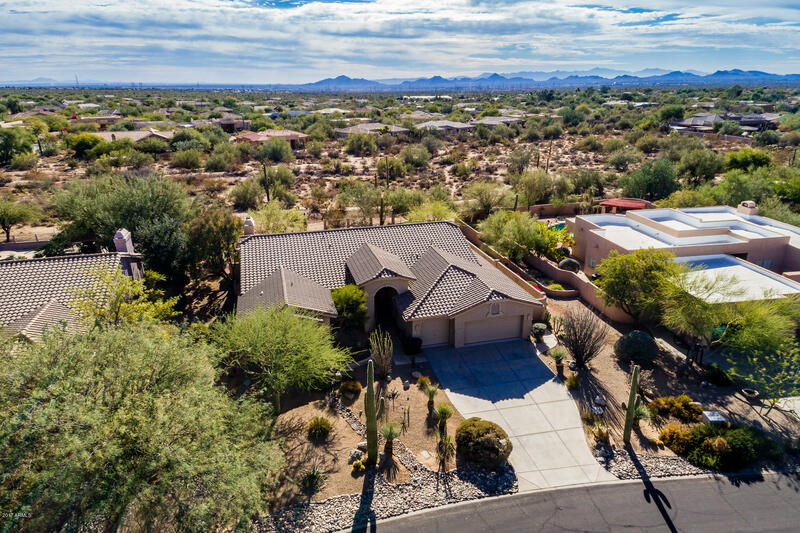 This bright and spacious single level home is tastefully updated and sits pristinely on a spacious lot with a resort style back yard: it is ready to be enjoyed. 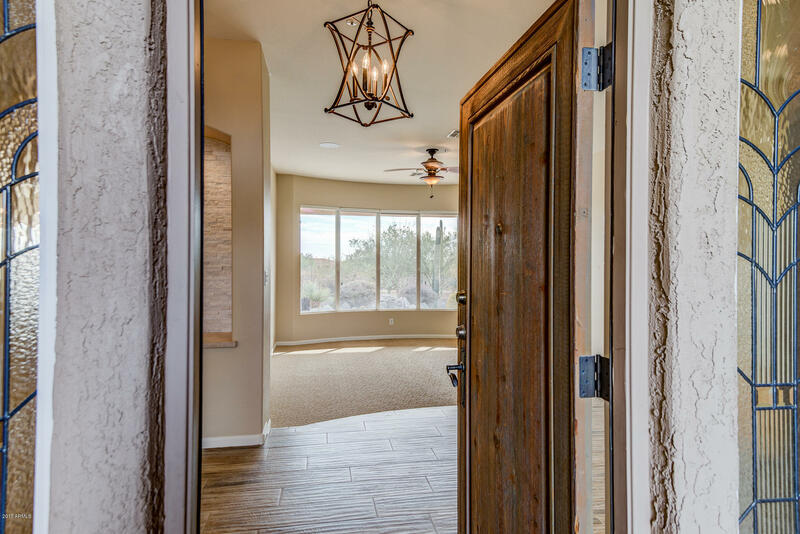 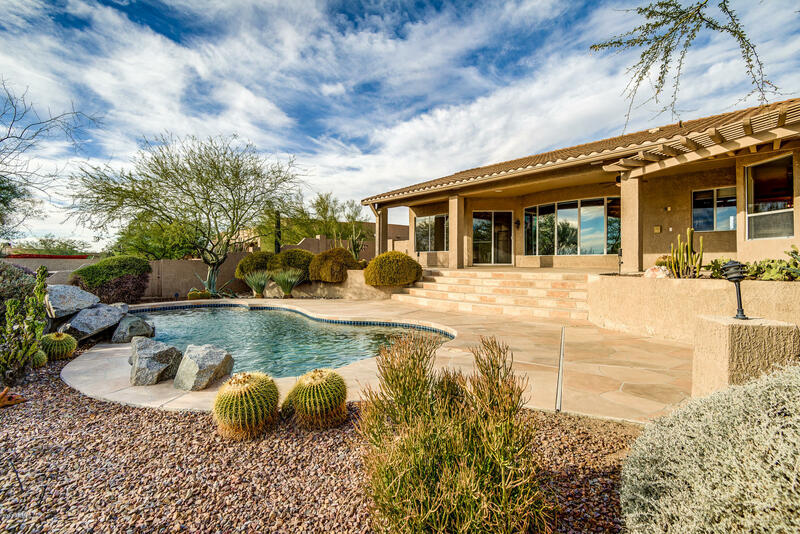 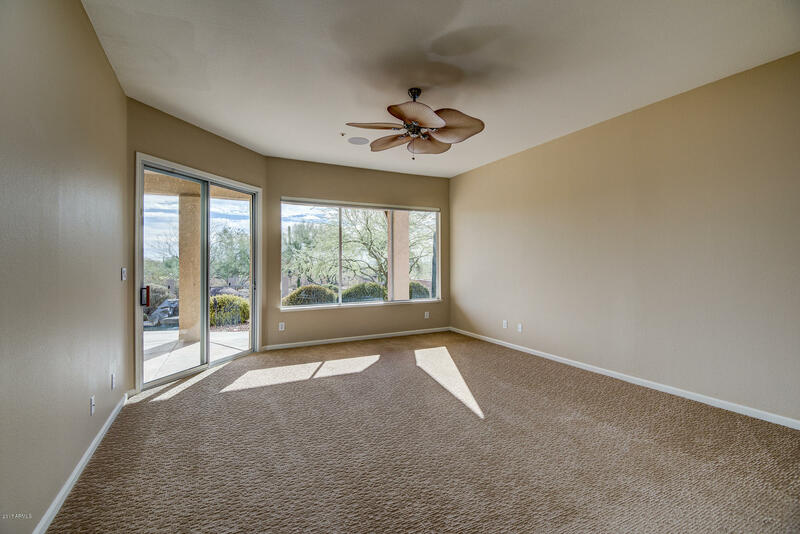 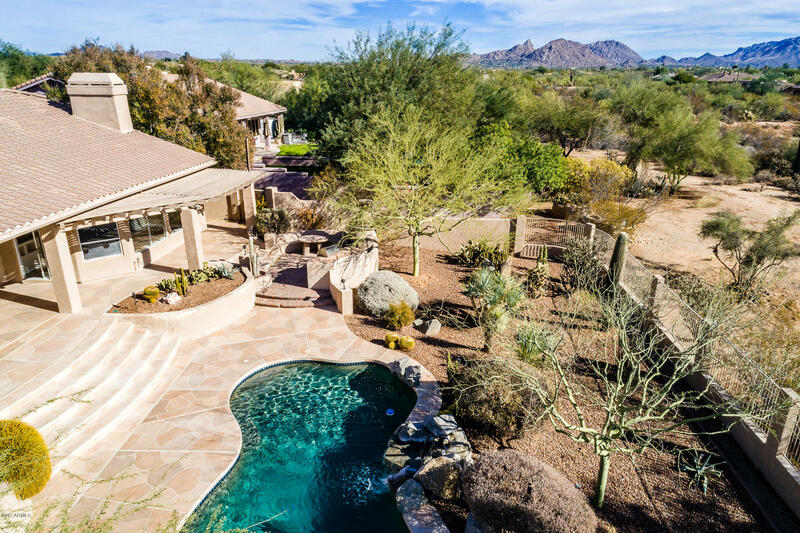 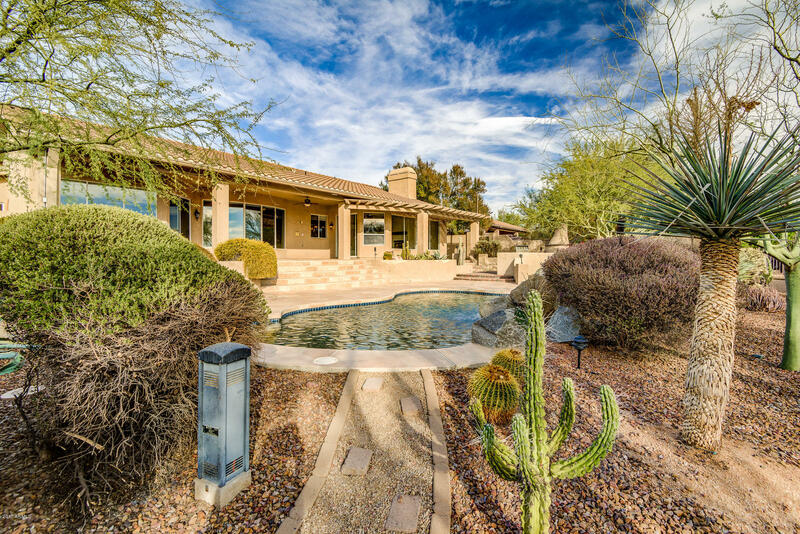 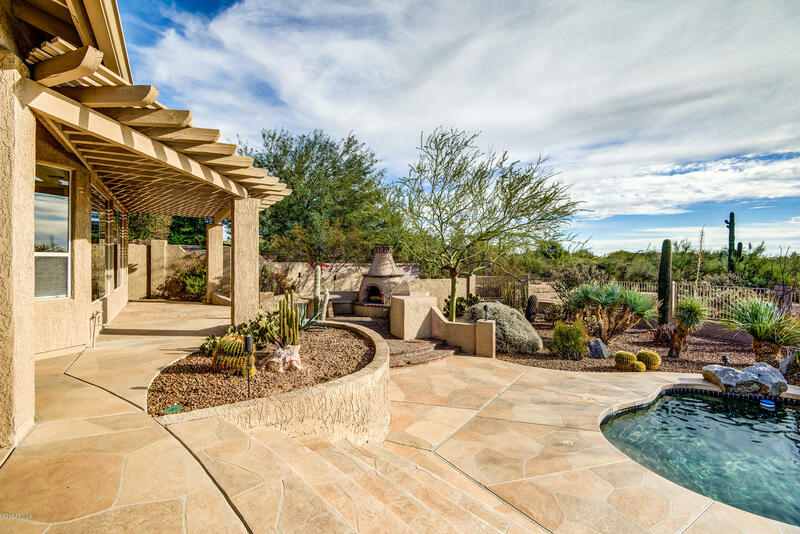 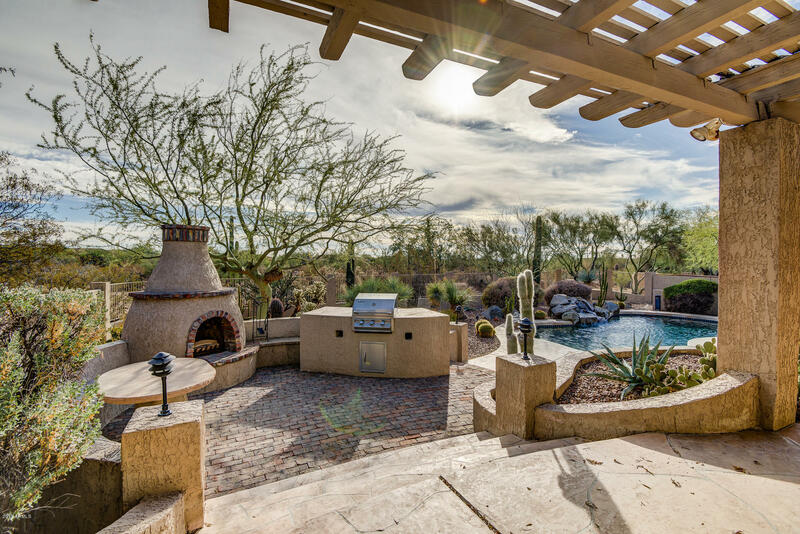 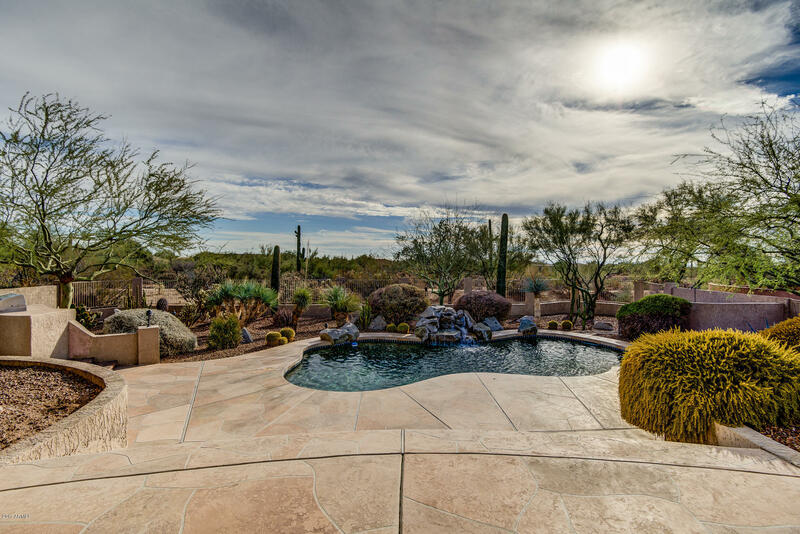 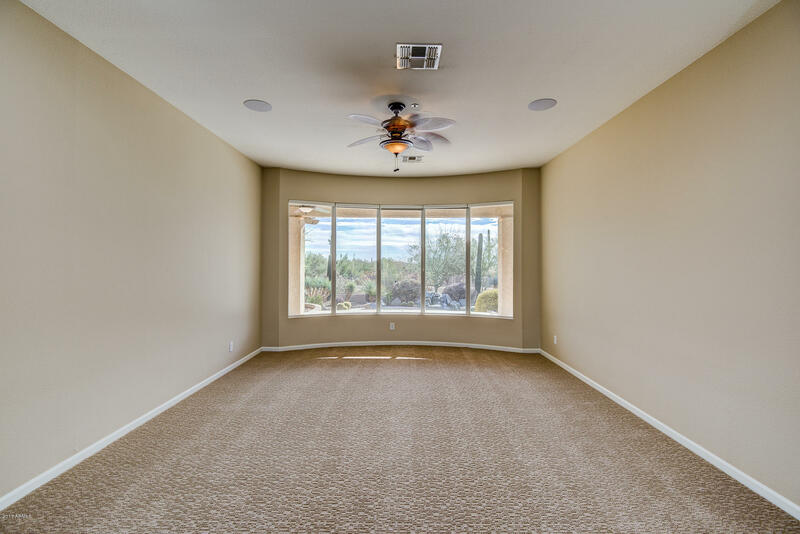 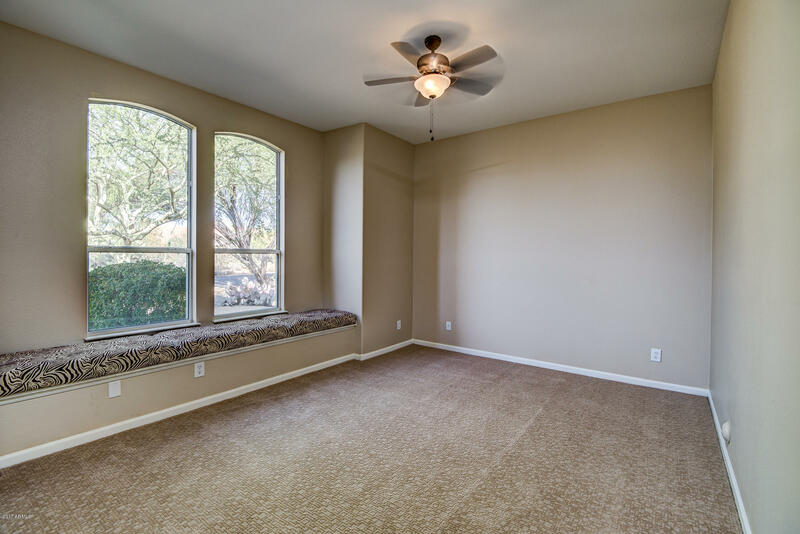 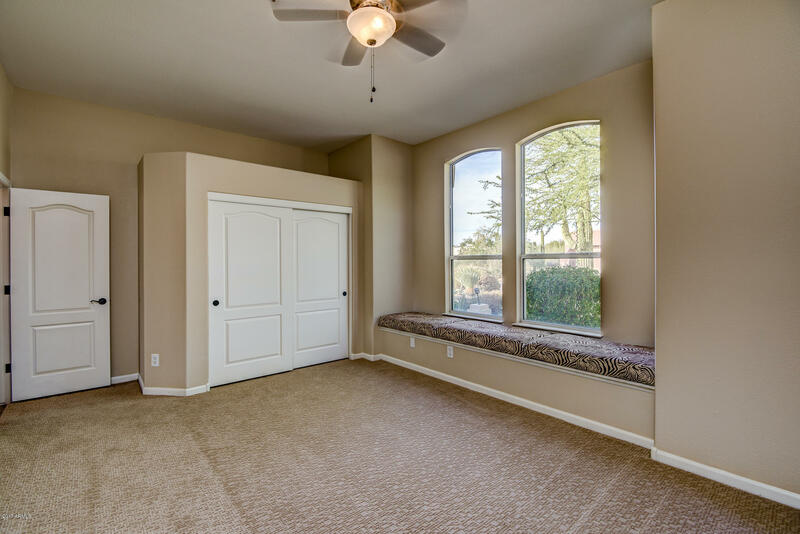 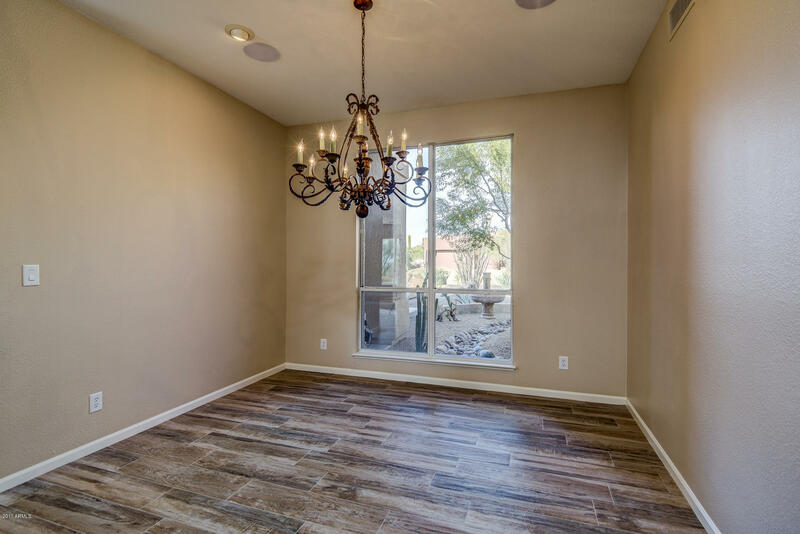 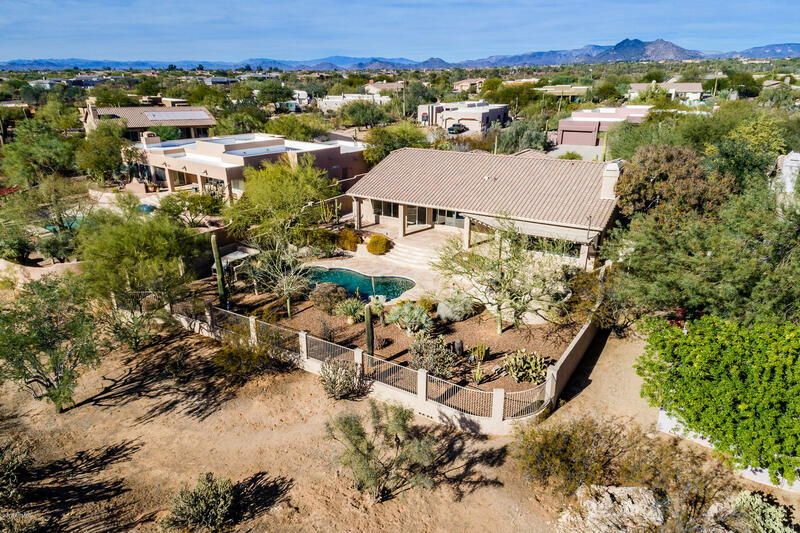 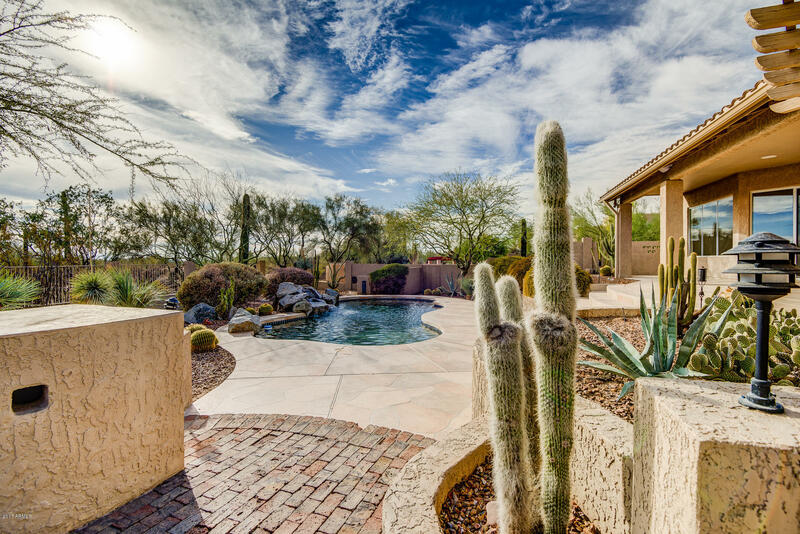 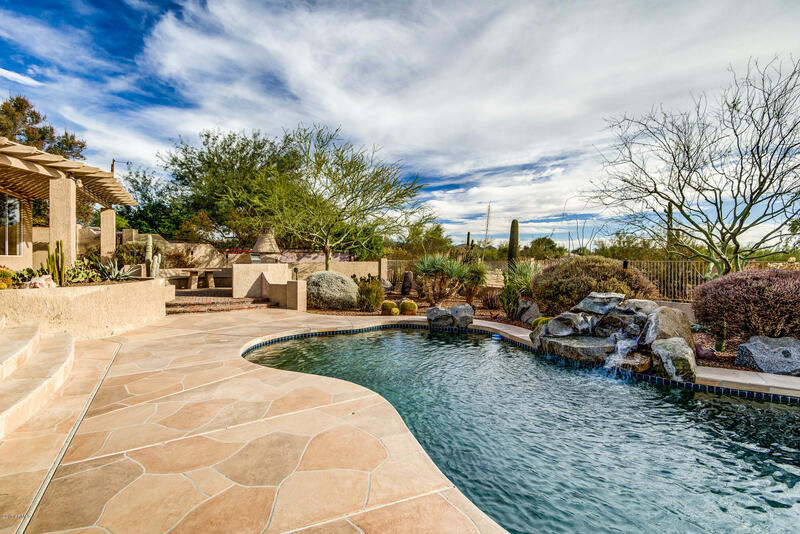 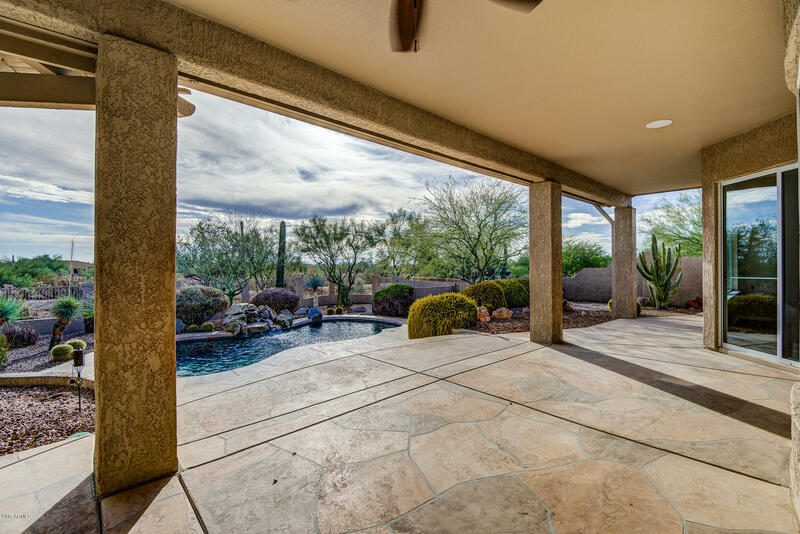 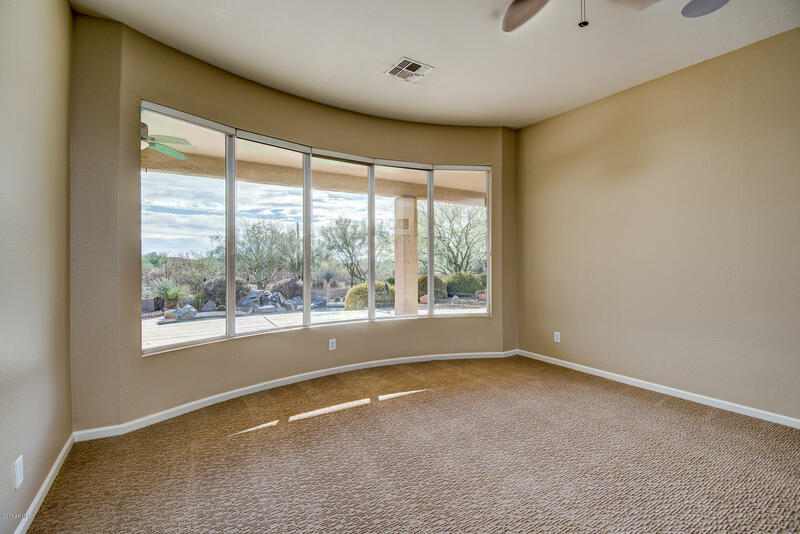 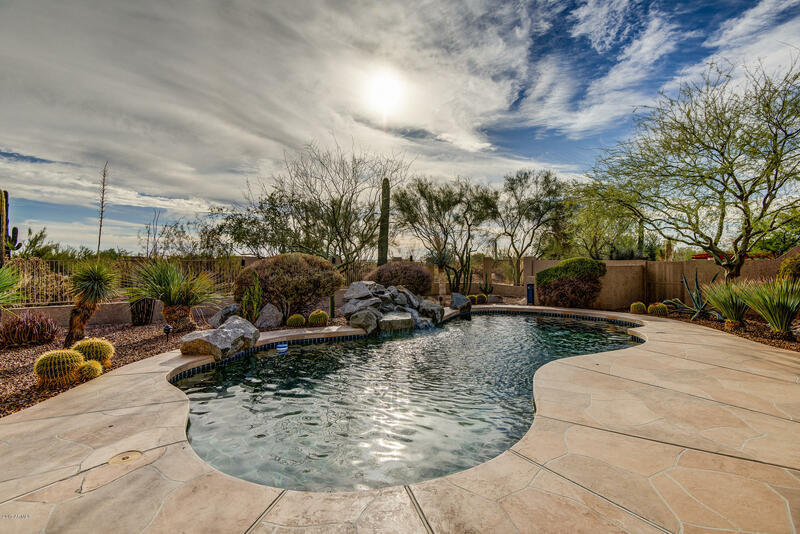 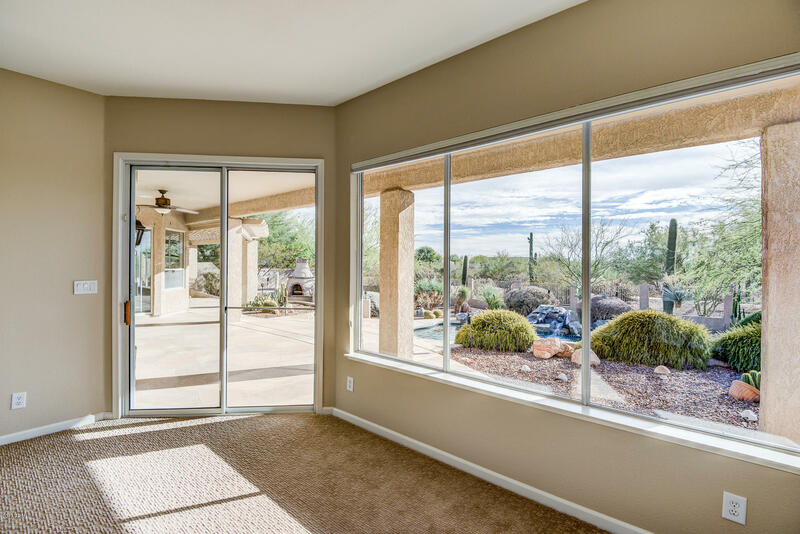 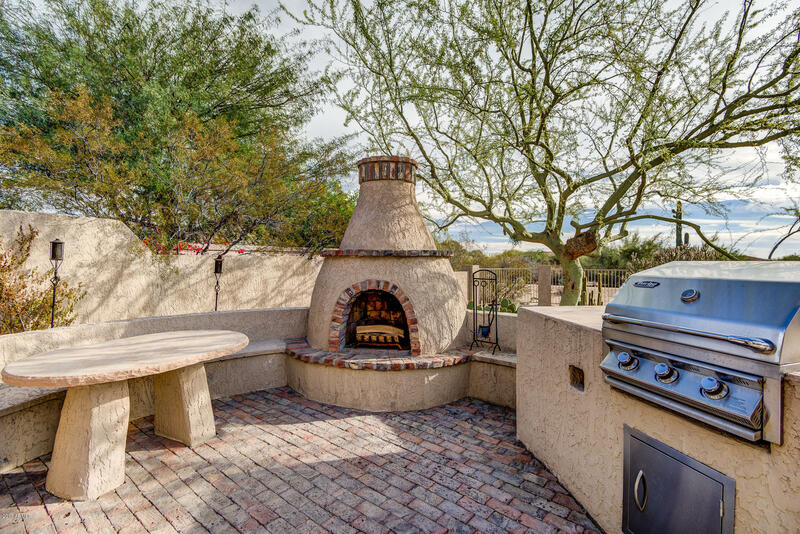 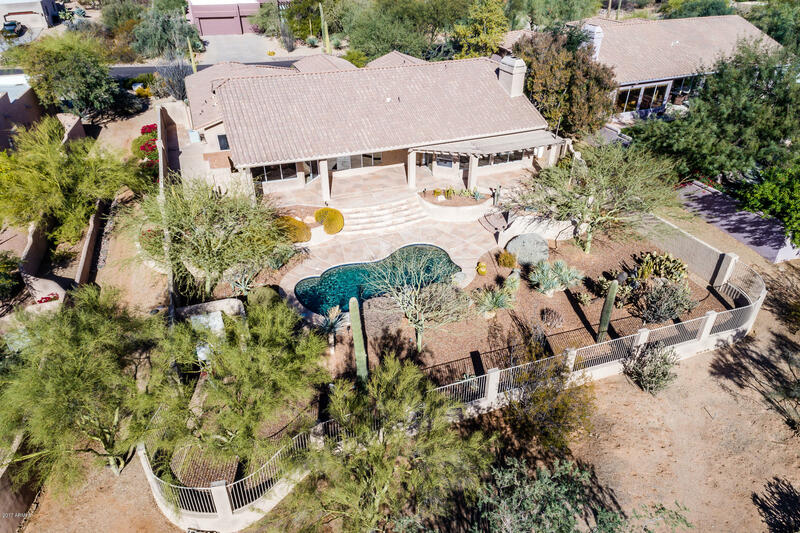 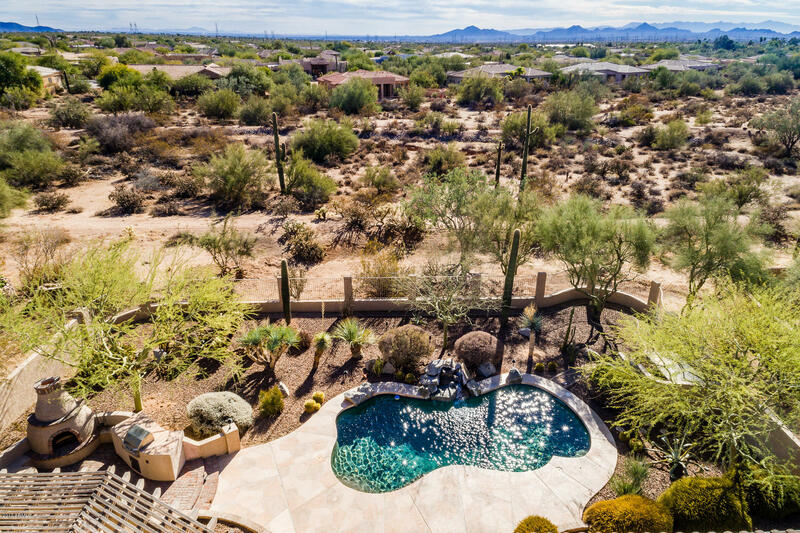 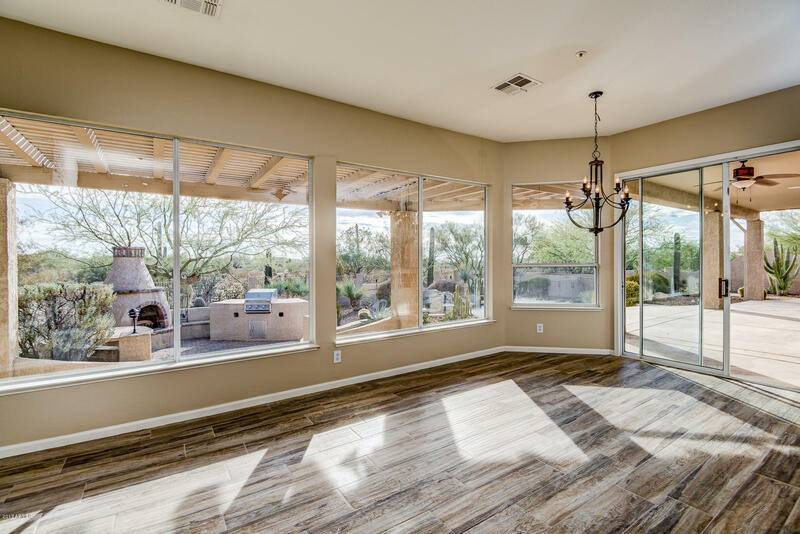 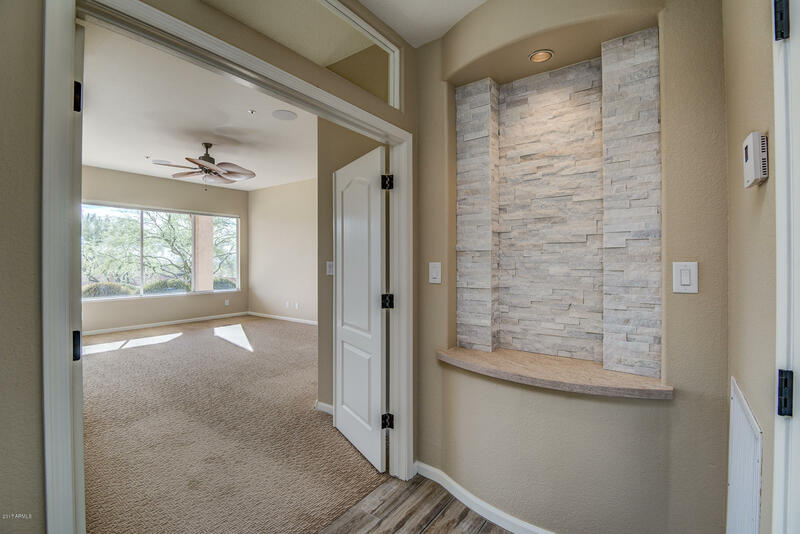 Picturesque mountain and desert views through large bright windows in the living, dining and master bedroom. 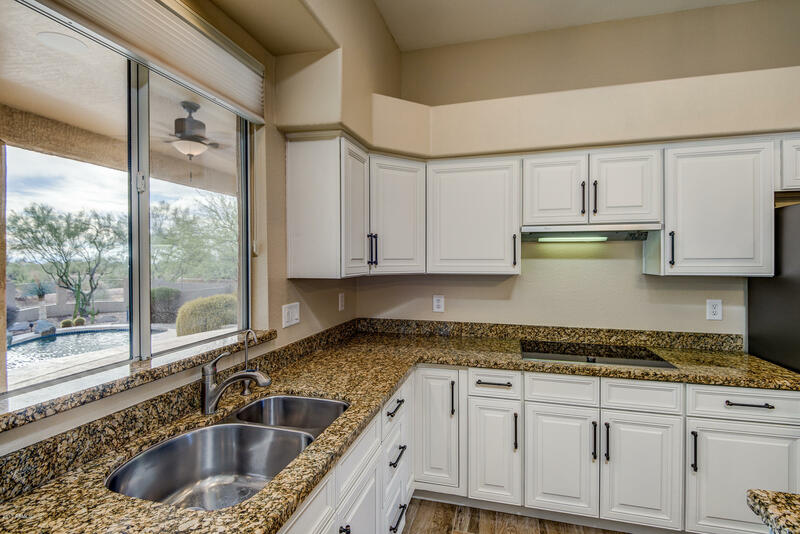 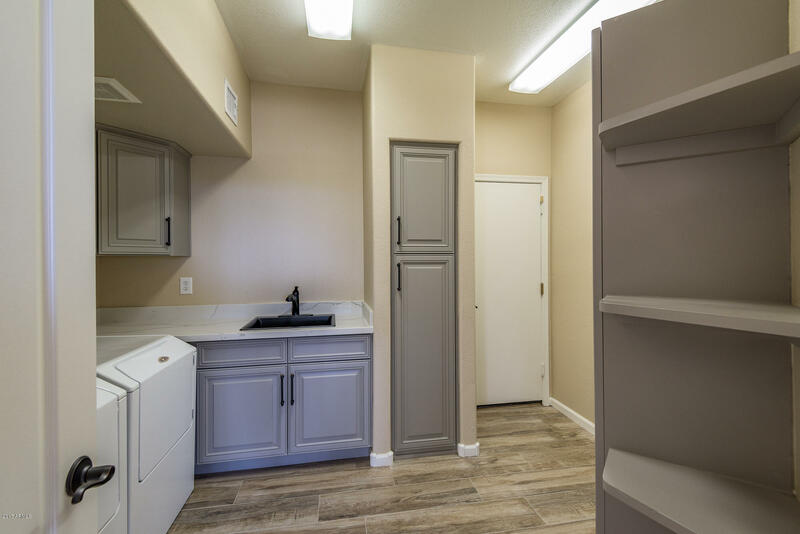 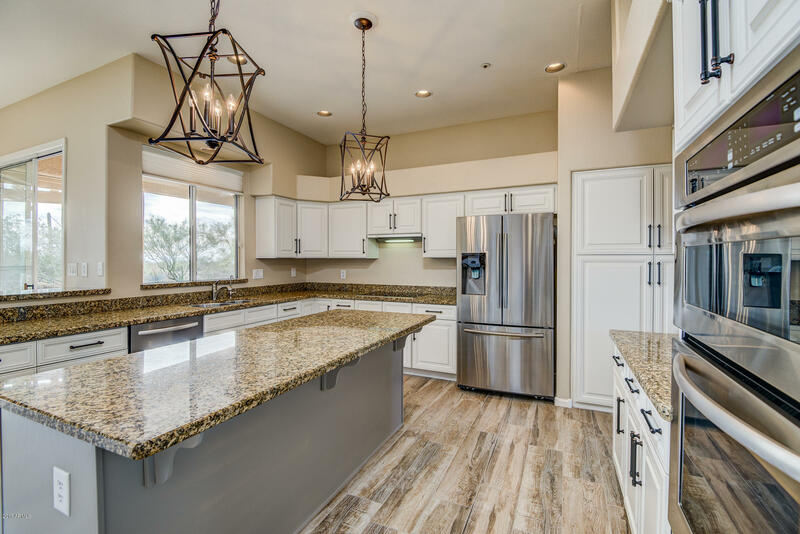 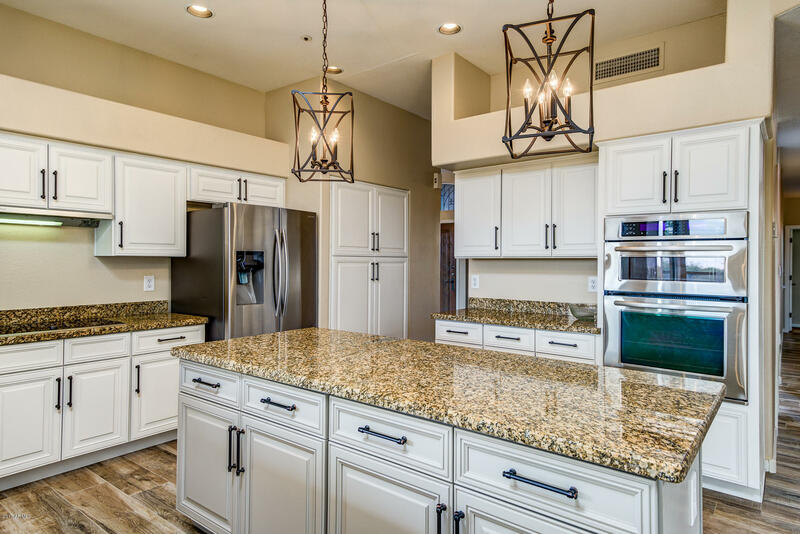 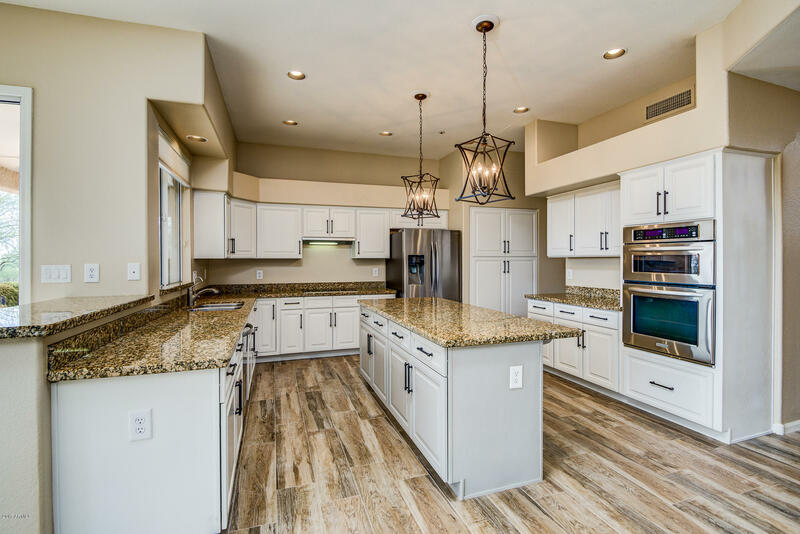 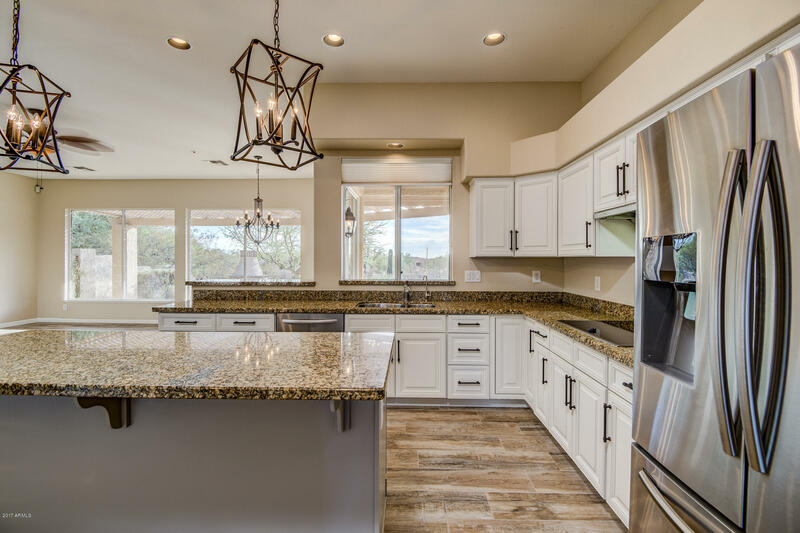 Gourmet kitchen includes granite, a modern color scheme, high quality cabinetry and upscale stainless steel appliances. 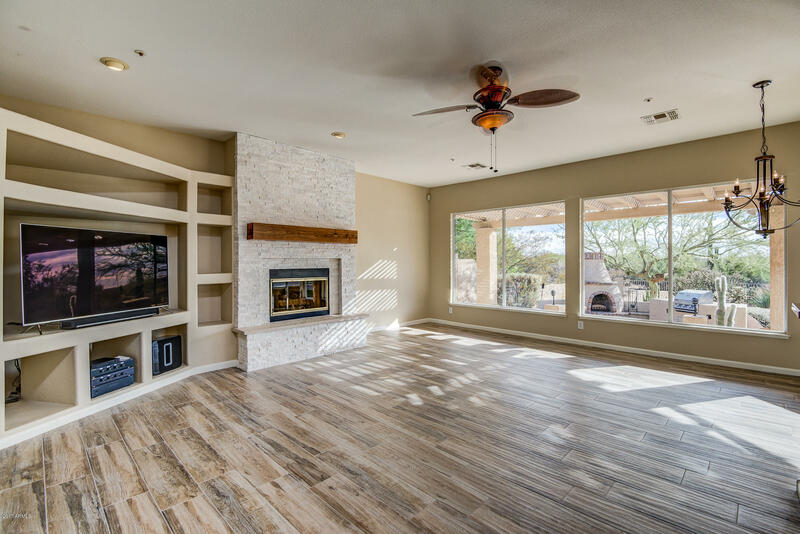 Great room is a superb entertaining space with a grand fireplace that opens up to luxurious, resort like back yard space. 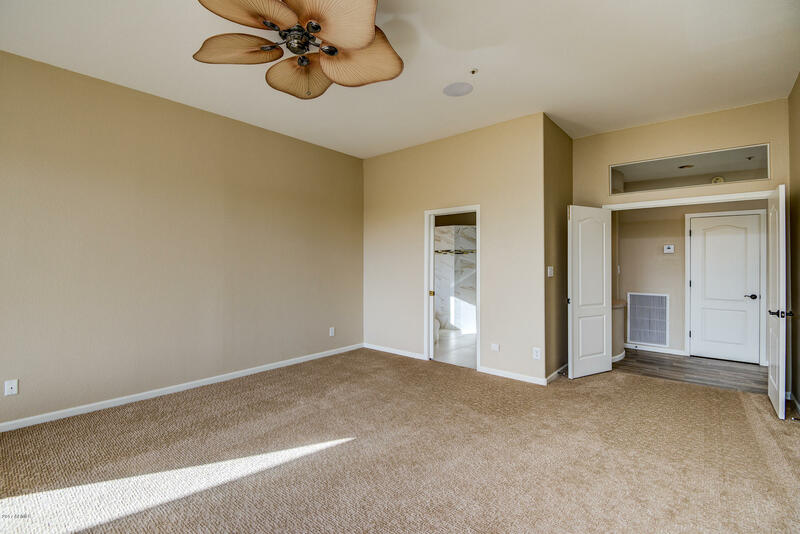 The master suite enjoys a private retreat in its own wing. 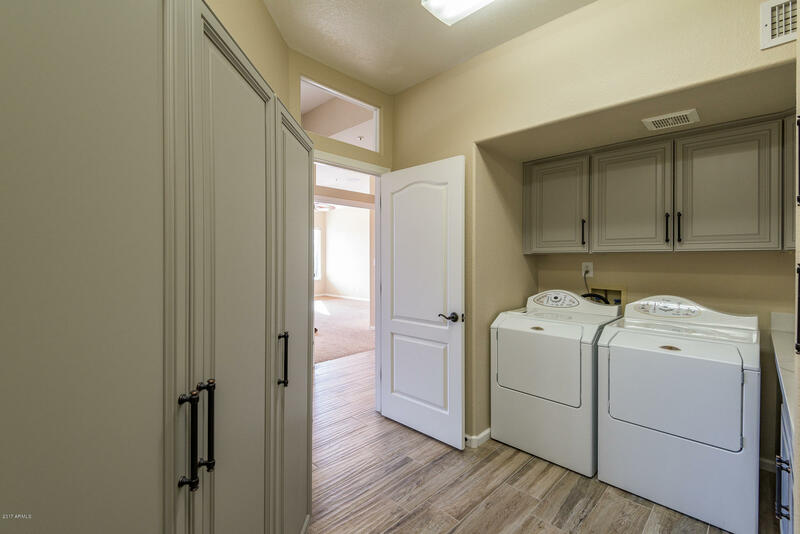 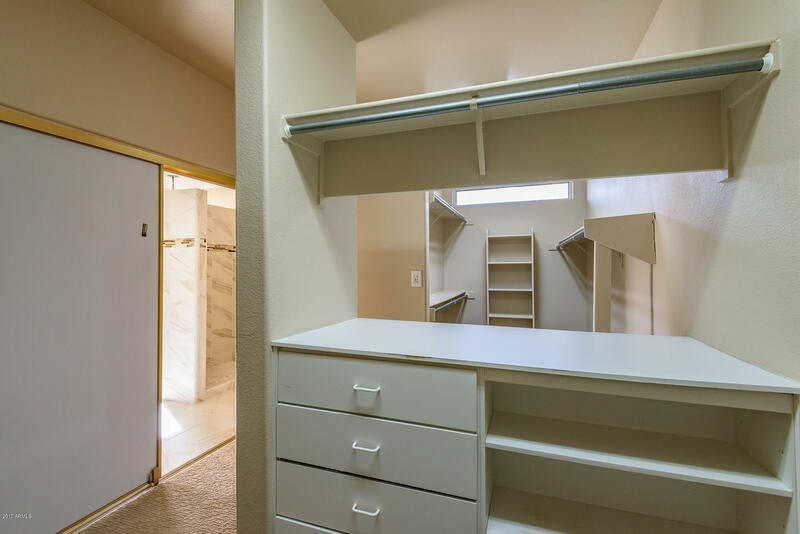 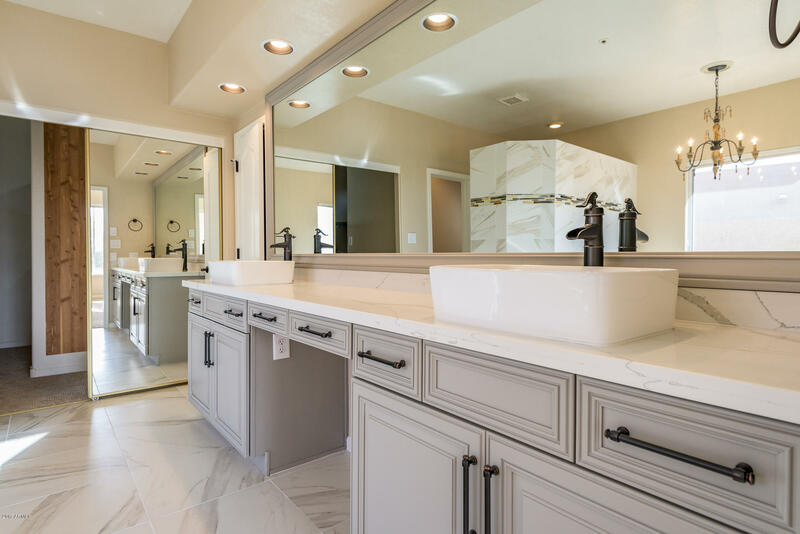 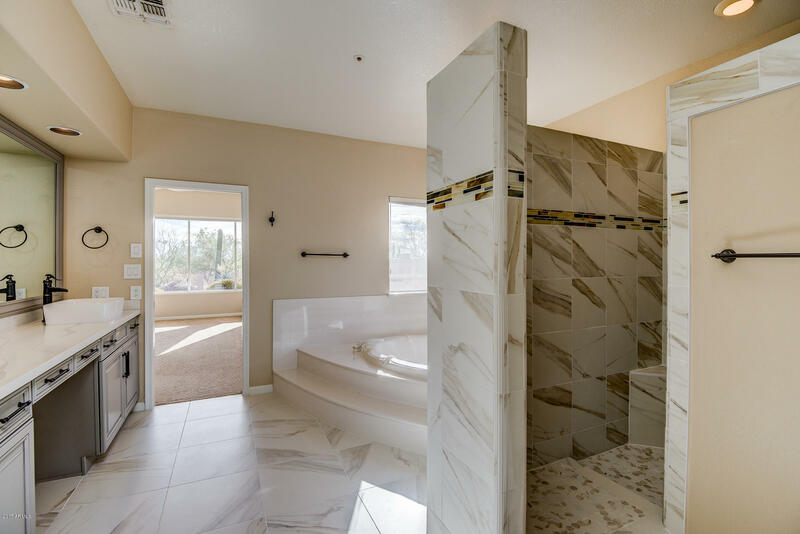 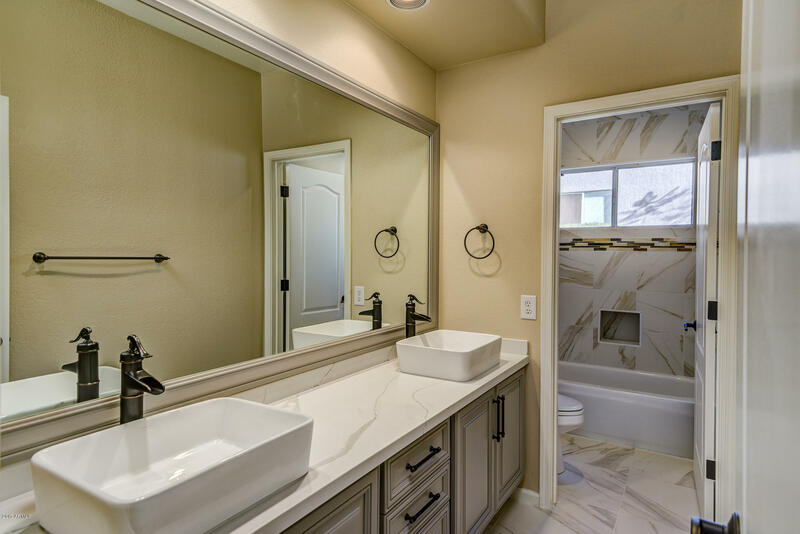 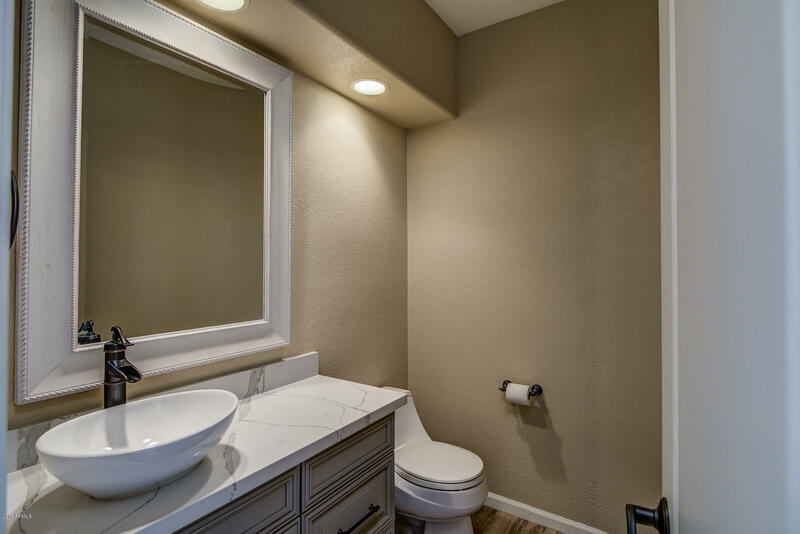 A stunning master bath w/ separate tub and shower, his and hers sinks and a large walk-in closet. 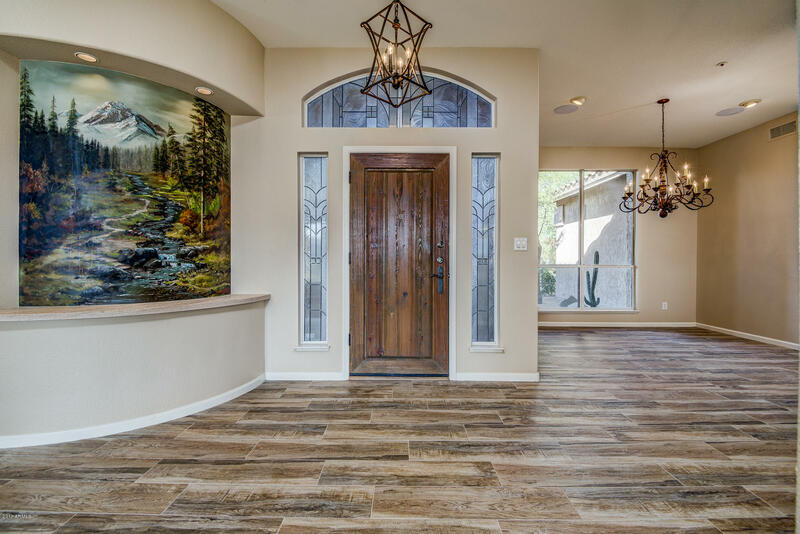 A true diamond complete with an original mural, hard painted by Carl Valentine!